So as you may have heard this wonderful UK government has a huge love of everything Indian, and I don’t mean the American kind 🙂 The problem is that not only do they continue to have a fascination for India, and in particular David Cameron, who is happy to be insulted directly by the India Prime Minster yet continue to sing their praises. As I see it the main problem with outsourcing is that you are taking jobs directly from people in your own country and secondly when you outsource to some countries such as India they actually send the staff to your country in my case the UK, and as most of these people have a right to be in the UK they have access to things such as the NHS, but most of them are not UK tax payers so are not contributing to the economy. They are in fact taking money from the UK. Now don’t get me wrong India is not only country that has done this to the UK, lets take Poland for example, they had a failing economy, Polish workers came to the UK, mainly unskilled labourers, whilst here never paid any tax and sent money home to Poland. Surprise, surprise Poland now have a thriving economy. This is exactly the same for people coming from India, working in the UK not paying what they should, sending money back to India, which is now going at a faster rate than any other country. Now lots of people try to say that foreign workers are only doing the jobs people in the UK don’t want to do, to some extent that may be true, but put it this way. How can someone come over to the UK to work, such as on a market stall, mobile phone stand for example, yet afford to drive around in executive cars, live in big houses, etc. When someone from the UK doing the same job can only afford a basic lifestyle. You cant tell me that there is not something fishy going on. I am going to tell you a personal tale now, so sit back, relax and I will begin. I work as a IT contractor in the UK, and several years ago I was on a contract working for Orange, the contract was for 3 months. On the second day of my contract I was told by my line manager that he wanted to extend my contract for another 3 months, I said I was happy to do that so he put forward for my extension. He heard a few days later everything was approved for my extensions, he just needed to hear back from finance. It came to the last week of my contract and we had a meeting and he said that Orange were not going to extend my contract, as they have decided to outsource the work to India, in fact they Orange outsourcing over 300 jobs, from the UK to India. Now a couple of days later I was working on the department when about 12 Indians came in and sat around a table in the office, my line manager said that was the firm the work was being outsourced to. So not only did I not get my extension but hundreds of Orange workers lost their jobs!!! Now as I worked in Orange on some high up projects I found out lots of interesting information about Orange and their continued love of India. Orange or EE as they are now known outsource most of their call handling to two countries India and the Philippines. Now if you ring up and are lucky enough to get through to the Philippines they will actually be able to help, as they speak perfect English and have knowledge of mobile phones and the Internet,, however when you call and get through to India, they don’t speak English and don’t know anything about how the internet actually works. I am speaking from experience as I am also both an Orange Mobile and Broadband customer. My home broadband continues to drop out, and every time I have called the broadband number I get through to India, and on more than one occasion they have either blamed BT or simply hung up on me. Don’t get me wrong I don’t agree with outsourcing at all, I am just making the point that outsourcing to India is bad. But the reality is that no country should outsourcing service work at all!! Now on the other side of the fence you have my mobile phone contract with Orange, I called back in September about my contract, and got through to someone in India, the problem was not sorted and never has been. But a couple of days later someone had accessed my mobile phone account, changed my password, and ordered 2 new handsets. Now I think this was more than a coincide. To cut a long story short, even though I rang Orange and was told this was sorted the same thing happened again, I was eventually left with a bill over almost £3000. Now to prove my point about Orange and their love of India, initially I thought they only outsourced to India during busy times in their UK call centres, nope. If you call the following number 07973 100150 (don’t need to be an Orange customer to call it) and press option 2 (for broadband) you will notice that more often than not, you will be put through to an India call centre. It seems more than obvious that people from India are not playing by the rules, put it this way if someone from India moves to the UK, they can afford to fly back to India several times per year, yet if someone from the UK moves abroad they are lucky if they can fly back to the UK one a year. As you can see I have been personally effected by this countries continued love of India, not only are we outsourcing jobs from the UK to India, but we are allowing them to come here and work. All thanks to David Cameron!! The thing I don’t understand is why on earth do we think India knows anything about technology, they are still a third world country, and only a few days ago stopped sending telegrams!!! The UK government sends over £1 billion per year to India in Support!!! You may or may not know this but the UK government continues to send support to India to the tune of over one billion pounds every year, this is meant to help the country develop. Now in reality this money is only going to the India government to continue to grow things like their space program. YES India has a space program. Lets take one of the main cities Mumbai, this is where most of the UK jobs are outsourced to, but in reality it also have one of the largest slums in India know as Dharavi. 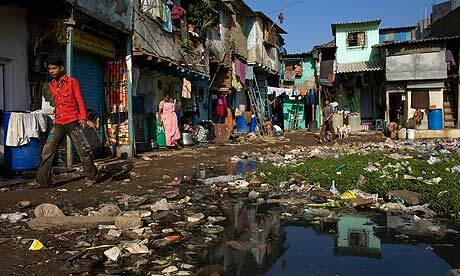 So whilst David Cameron goes on his trade missions to India, the government allows their own people to live in filth. this is a side he never sees as they only show him the palaces and new commercial centres, all paid with by your taxes and the support sent over by David Cameron. As you can see from the shots below, the Dharavi slum is a horrid place yet it is only a few miles from Mumbai yet people are living in horrid conditions. Now you must remember that Dharavi is a large city in Mumbai which also has new shops, office complexes, hotels. 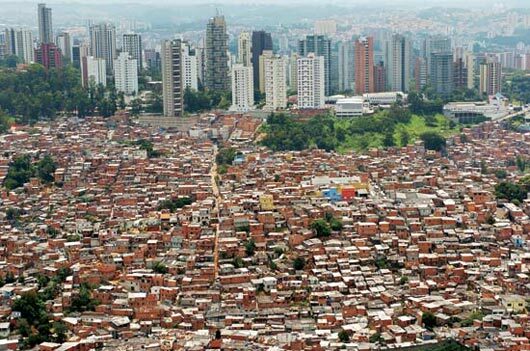 All of which are a stones throw from the slums. So whilst David Cameron is being shown the new development and has his continued love for the country, people are dying only a matter of miles away from the huge palaces owned by India elite. The people who own the call centres, clothing factories, etc. Whilst in his own country people can’t afford to eat, are losing their jobs. For what! a country that treats its own people like animals. Now the way I see it is this, India does not know enough about technology to even be on the radar when it some to outsourcing technology remember they only last week stopped sending telegrams, they don’t speak English, even when they come to the UK they continue to talk in their native tongue. They even raise their families in the UK speaking English as a second language. This makes it harder when you call them on the phone as not only do they not understand how things work, but they don’t understand the language. So I have this message for David Cameron, start looking after your own country, stop allowing UK firms to outsource to India, Indians into the UK taking the jobs and India to grow at the expense of your own country. I think it should be simple put your own country first!! ← 2013 MPs Pay Rise – Was it Fair?